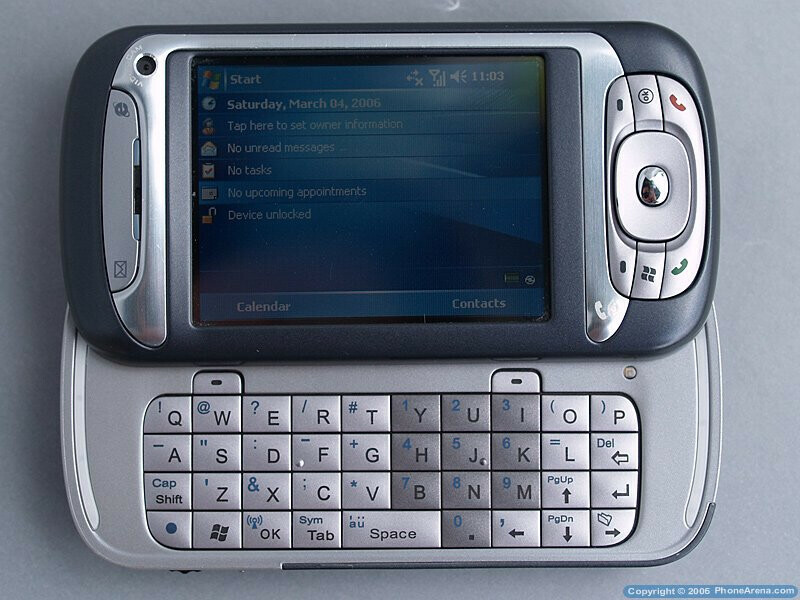 After the introductions of the T-mobile MDA / Cingular 8125 (HTC Wizard) which became quite popular because of its compact design, full QWERTY keyboard, excellent screen and WM5 operating system, on November 2005, a news about the future HTC line surfaced. 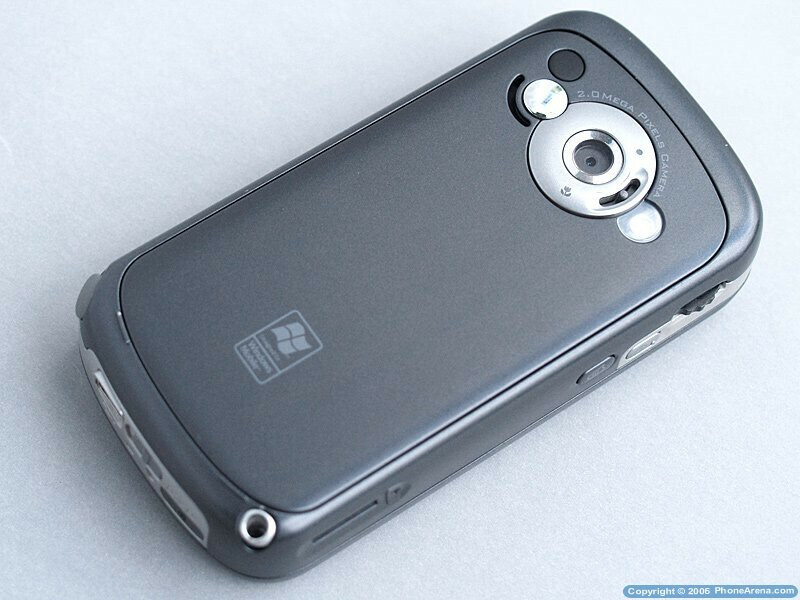 One of the new models that leaked was the HTC Hermes or QTEK 9600, which despite the limited information available at that time, was a very promising model. Few days ago our friends from All4Smartphone.com had a chance to play with it and take pictures of the final version of the Hermes. The major drawback of the MDA was the slow, 195 MHz processor. Its successor of course fixes that and now runs on 400 MHz CPU. The keyboard also feels better and is easier to use. 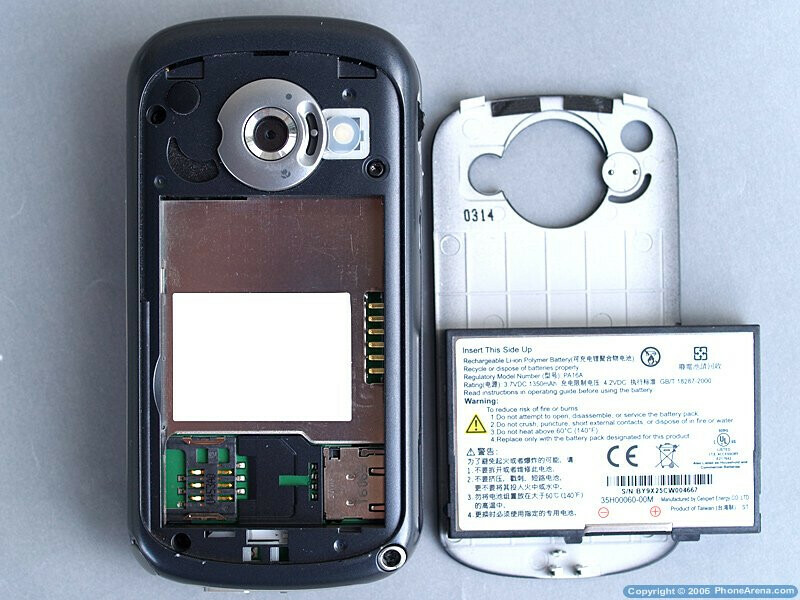 The camera has been upgraded from 1.3 to 2 mega pixels with an additional CIF camera located on the front for 3G video calling. Earlier speculations about HSDPA support were unfounded and unfortunately only UMTS is available. 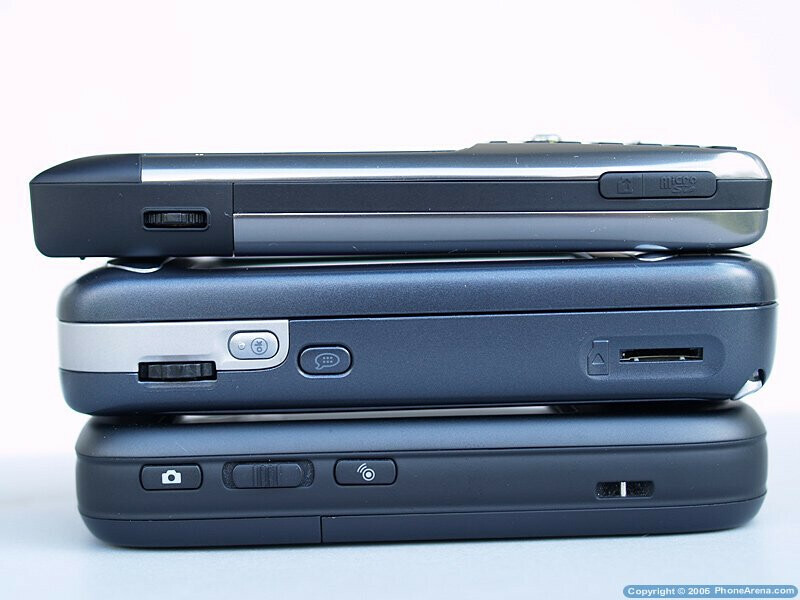 The battery capacity is also increase from 1250 mAh to 1350. 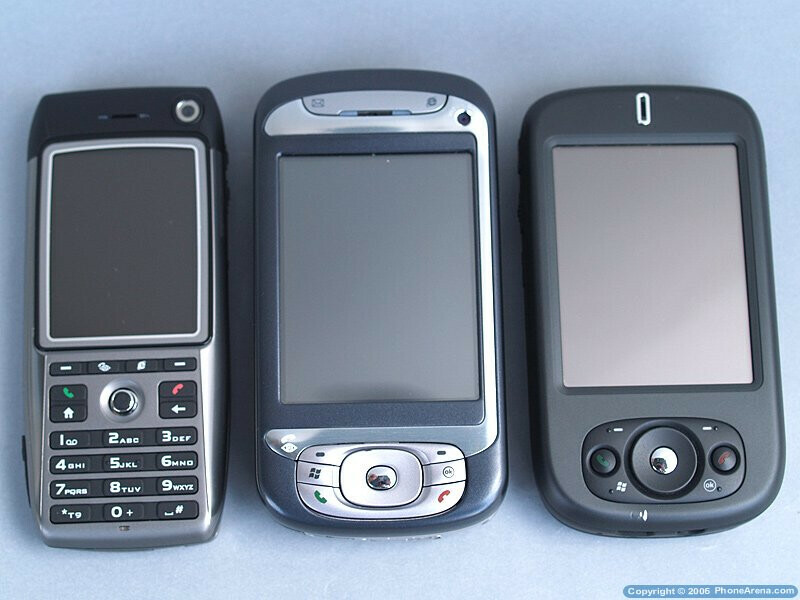 The physical dimensions of the phone are kept almost the same. The stylus is still inconveniently located on the bottom back part. 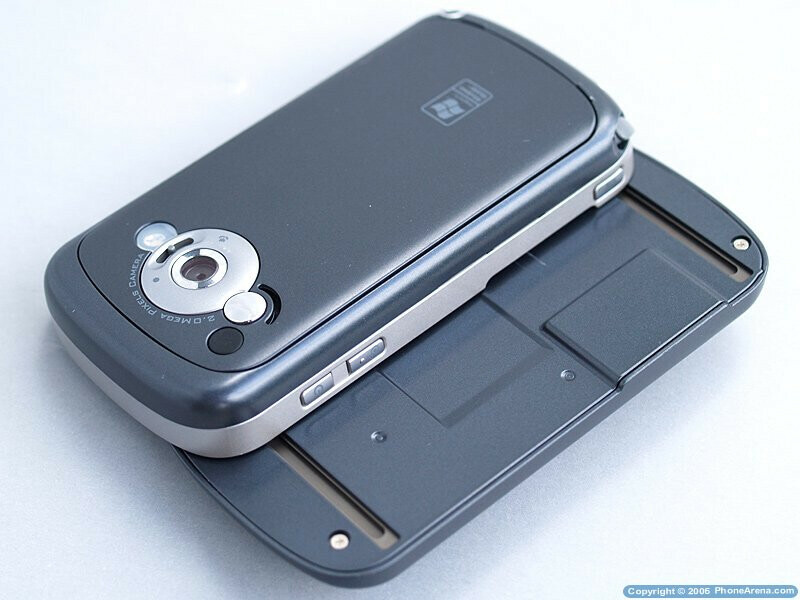 The keyboard as mentioned before has better layout and with more fluent sliding motion, but is also more prone to become loose. 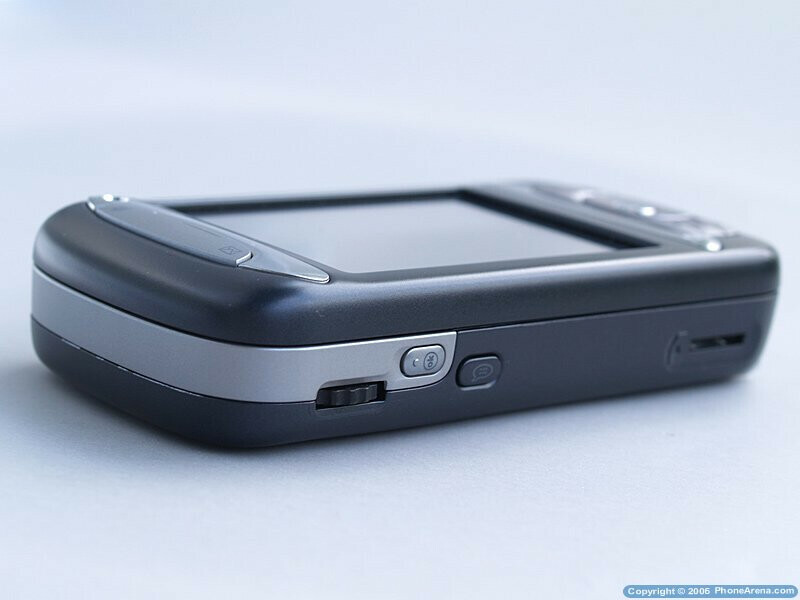 Very convenient is the new "jog-dial" with confirm function which is located on the left side of the phone, or on the bottom when the keyboard is slid open. 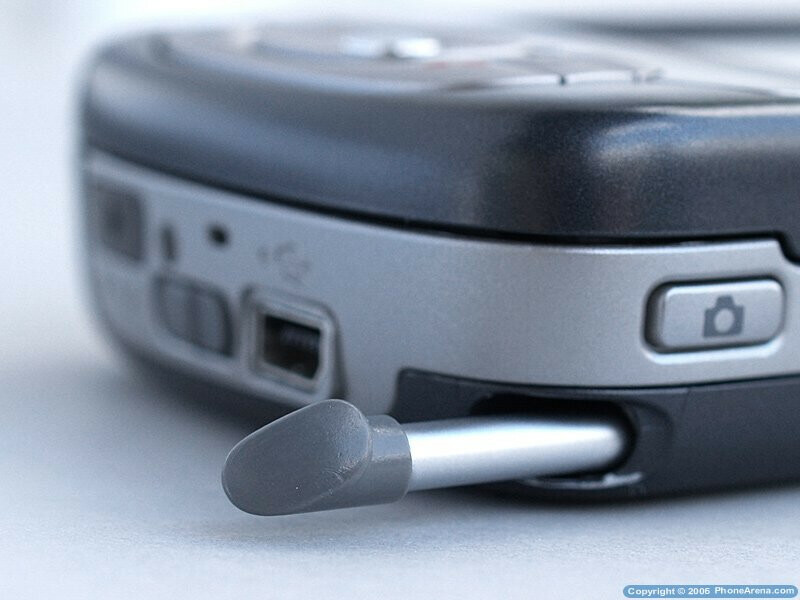 Jog-dial keys has been traditionally used in Sony phones for years, and take place in Sony Ericsson smartphones' line as a comfortable way to navigate a touchscreen-capable device. 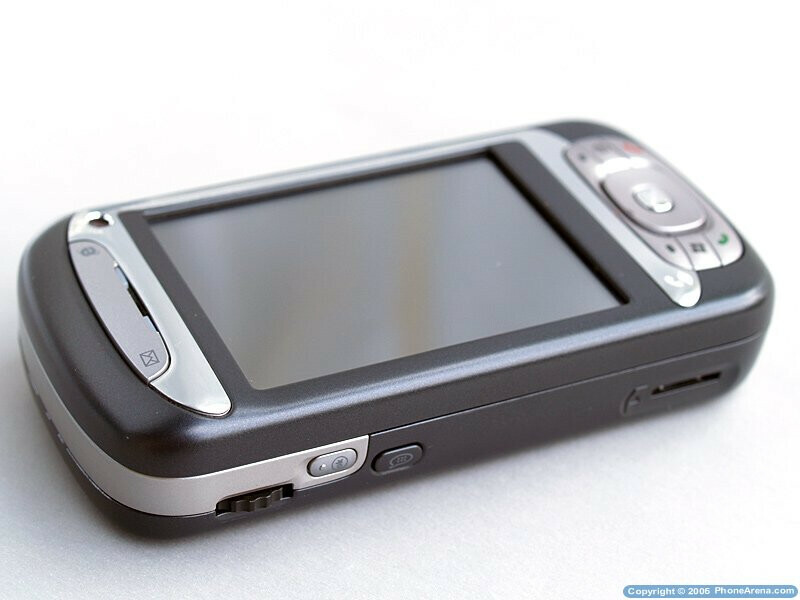 Next to it is a hardware OK button as well, which will be a standard for future PPC phones and is a hardware shortcut for the OK key in the upper right part of the screen. 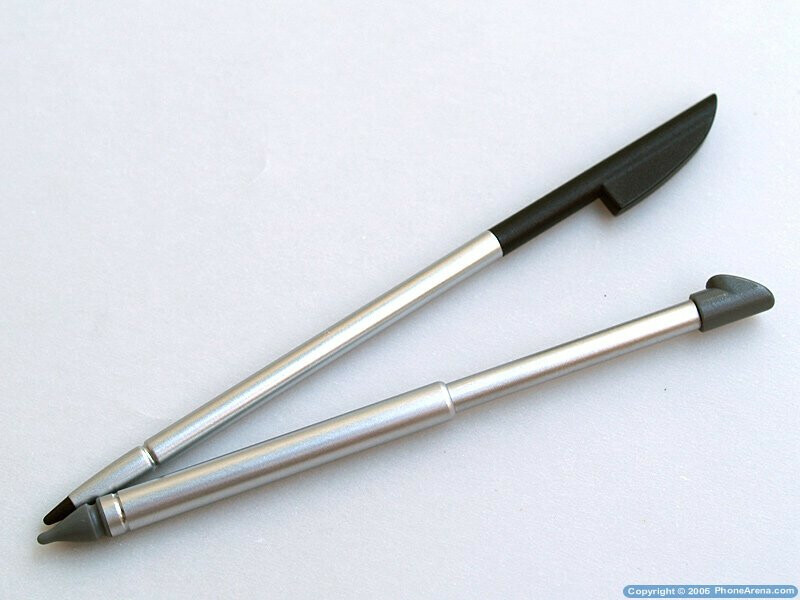 Because of this innovation, the need of using the stylus is very limited, and you can use the phone with one hand only!